Thanksgiving has always been a family holiday, one where you spend a good chunk of your day with the people you care about, be they family or friends. Many of us end up traveling to see our loved ones, whether it’s by plane, train, or automobile. There is an art to going home for the holidays and this year, for the first time, I’ll be doing a lot of traveling myself to visit my family for Turkey day. Being organized when you’ve got a long trip ahead of you is vital. I’ve found lists to be extremely useful when it comes to planning, mostly so I don’t forget anything. 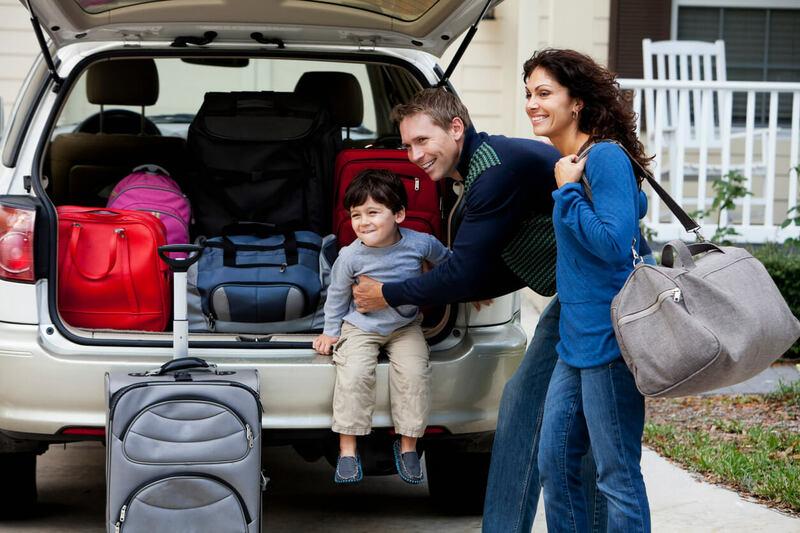 When you’re going across the country or even a state or two over, leaving something behind can throw a wrench in your plans. Making sure you’ve got a handle on your transport is also helpful. What is your terminal & gate info? Cool tip from USA today: All coach seats on long-distance Amtrak trains can fully recline. And even cooler, there is a button on the handle of the outermost seat that you can press to turn the entire row in front of you around to give you a footrest. Please only do this if there is no one in front of you or you spoke with your fellow passengers. The only thing missing from this photo is a Travall Guard. Is your car road trip worthy? Give my list a run-through. Pack accordingly – snow chains, blankets, etc. Take a look at a Travall Guard and Divider for organization and safety. This great vehicle-specific accessory will help keep all your gear in the rear. I usually put together a packing list, which includes what kind of clothes I need, beauty products, medications, etc. I add my flights to my phone calendar with terminal and gate details if available and I make plans for what to take to entertain me on the plane. Once I get to Colorado I’ll spend the next leg of the journey in the car with my parents who are coming to pick me up at the airport. It’s a 5-hour drive to get to where my family lives, at least it’s through the mountains so that’ll be lovely. I need to remember about altitude sickness though… I’m not used to being over 4,500 feet above sea level anymore. Here’s hoping your journey (and mine) doesn’t end up like the John Candy and Steve Martin movie! Safe travels and we hope you enjoy the journey!